Digitimes are up to their usual rumor-mongering again, and this time we really should take their rumor with a grain of salt. Amazon is likely to change its product roadmap by shifting the display size of its next-generation Kindle Fire to 8.9-inch instead of 10.1-inch as originally planned, according to sources in Amazon's supply chain. I'm pointing out the difference because even though they explain away the difference, they've still reported 2 different screen sizes. They might claim that their sources are now saying different things, but how would we know that? Of course, there's one important detail here that need to remember. The difference between this rumor and the last is that not even Digitimes are claiming to support this one. Do you see how they used the word likely? That's a sign that they might not beleive this rumor themselves. 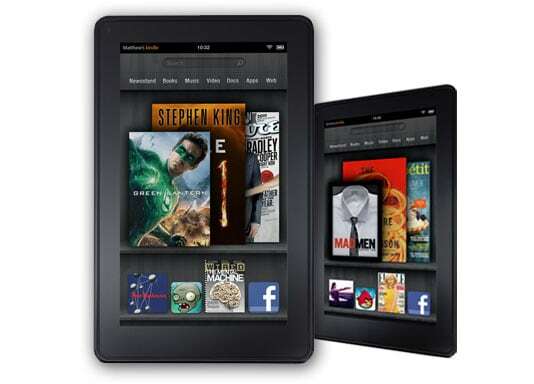 Now, I do believe that Amazon are working on a larger Kindle Fire, and I expect it to come out next year right around the time of the iPad 3 launch. But I will also freely admit that I don't have any proof. And no, the Digitimes story I linked to above isn't proof. They're not terribly reliable, and if Digitimes said the sun rose in the east I would go look out a window. At some point I should do a retrospective on all the Amazon rumors from Digitimes. I'm betting that many will contradict each other. I do have a retrospective of the stronger Amazon tablet rumors and those include ones from Digitimes.